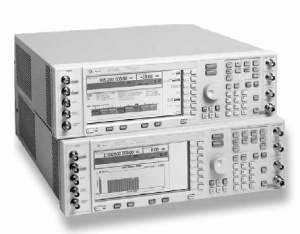 The Agilent E4425B RF Signal Generator provides outstanding phase-noise performance and analog modulation features for all general-purpose test needs. It offers excellent performance with superior quality, reliability and worldwide support -- at an affordable price. The E4425B provides comprehensive analog modulation capabilities, including AM, FM, phase modulation and pulse modulation. It is ideally suited to meet the demanding requirements of today'''s receiver test, component test and local oscillator application.